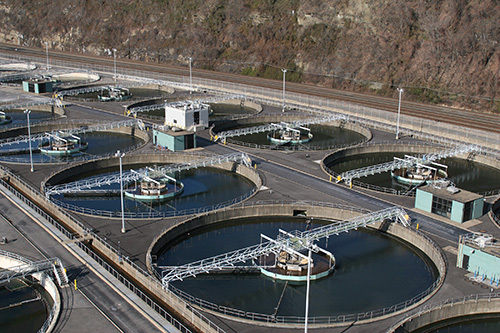 Missouri American Water Company, a subsidiary of the largest publicly traded water and wastewater utility company in the United States, chose McEnery Automation to migrate their legacy control system to a modern Rockwell Automation Logix-based system at numerous distribution sites. Their existing system was fragmented, difficult to support, and did not allow for access to actionable data. Their goal was to reduce overall hardware failures, reduce system downtime, provide a modern platform future growth and integration, and provide easy access to information across the system. Compounding the challenge, the nature of the customer’s mission-critical system demanded that the transition be seamless and transparent, and so we were challenged to develop a plan which would be implemented with minimal downtime and cutover time, with no disruption to service. The McEnery engineers performed an extensive review of the existing process and control system architecture in order to gain a full understanding of the system. We then met with customer’s personnel to ensure that we had a complete understanding of their goals, creating detailed process documentation for each system in order to completely define the desired operation as described by the customer. We leveraged Rockwell Automation Logix-based platform to create standard implementations for each type of site. Logix-based Add-On Instructions (AOIs) were created for each type of device and matched with a standard HMI template to standardize control strategies and visual information and control. This allowed for simple integration into the existing ICONICS Genesis 32 HMI using Kepware OPC technology for control, data collection, and reporting systems. Extensive simulation and validation was performed for each site to make sure minimal downtime was required during the cutover without disrupting service to the company’s customers. By applying McEnery Automation’s project management methodologies and simulation, each site was converted during project start-ups with downtimes of less than six hours, with no disruption in service to the company’s customers. The new system provides increased performance, reliability, and convenience while leveraging leading edge technology. Additionally, the new system now provides MAWC with easy access to actionable, system-wide information, helping them to make informed business decisions on based on real-time data.